In order to write oil portrait, you should select the model that you agree to pose for continue long hours. Working with oil paints takes a lot of time.Then you should cook a certain way on canvas or cardboard. Then, spreading his pre-paint, you can get to work. 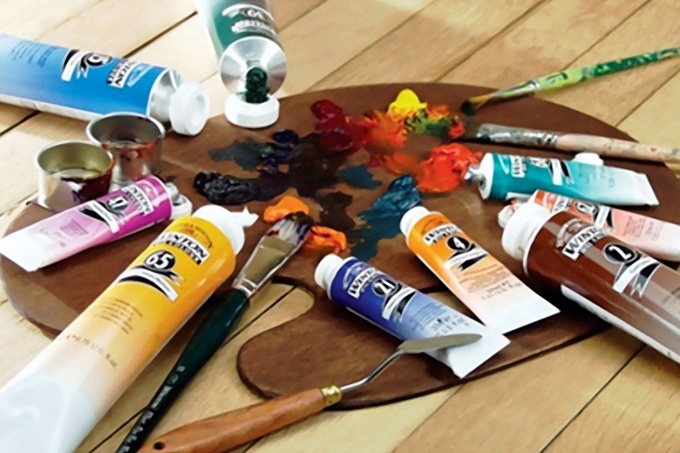 To work with oil paints it is better to choose canvas. If there is a desire in principle, it is possible to opt for hardboard or plywood. Before writing oil on canvas (or other material) should be primed. For this there is a special primer. Then, the fabric should be dry. When the primer dries, you are ready to work. 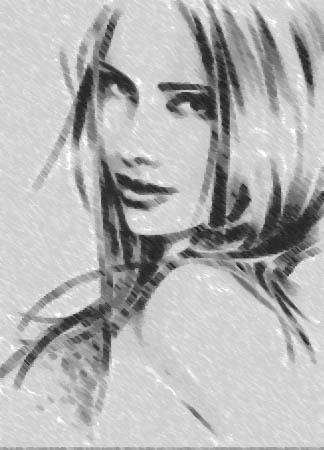 Sketch under oil paint is better to choose coal. They need to work to their full potential. It is sufficient that the drawing was done in semitones. No matter what the sketch will be bright. It is only necessary to transmit the main characteristics of the portrait. Before you start to write directly oil it is necessary to analyze the model. It is precisely to determine its main characteristics, the characteristics of the structure of the face and nuances of color. You need to determine what kind of paint are used to sketch with oil.It is important that the artist "got used" to the model, felt it the colouring. Then there will be problems with colour reproduction. Before the paint job must be diluted with turpentine on your palette. You can then start doing the underpainting.Underpainting is a thin residence of the canvas. Doing the underpainting, the artist defines the color and tonal relationships. However, prescribed large areas of the painting. In General, the whole portrait oil is conducted from larger objects to smaller ones. The process of writing the details. Each new element that the artist adds to the portraithas to be more careful compared to the previous one. After the underpainting is necessary to clarify the tone and color giving the picture more hull. Soaking the canvas in tone and color, should gradually reveal the shape of the object. Brushstrokes of oil paint should be put to several areas, constantly comparing the tone against each other. For example, smear on the forehead, nose and cheek, and then to compare them. After that you need to compare a color part with shadows and penumbras. To complete the job should be modeling and synthesis items. At this stage, needs to be specified parts throughout the canvas. If by nature the elements do not have hard lines (lips, cheeks, eyelids) "mold" they need soft strokes. It is impossible to obliterate edges between shapes in the portrait. Smaller forms it is necessary to prescribe with a brush. Doing the underpainting, it is desirable to do without white. Bad paint strokes it is better to remove with a palette knife (spatula made of thin steel).